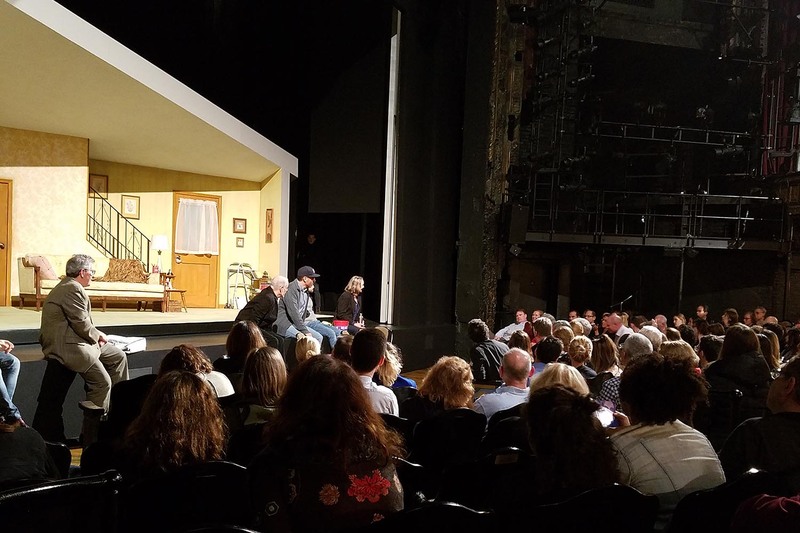 On Nov. 1, more than 200 Wesleyan alumni, parents, and guests attended “Wesleyan on Broadway: The Lifespan of a Fact” at Studio 54 in New York City. The event included a performance of The Lifespan of a Fact, produced by Tony Award–winner Jeffrey Richards ’69. 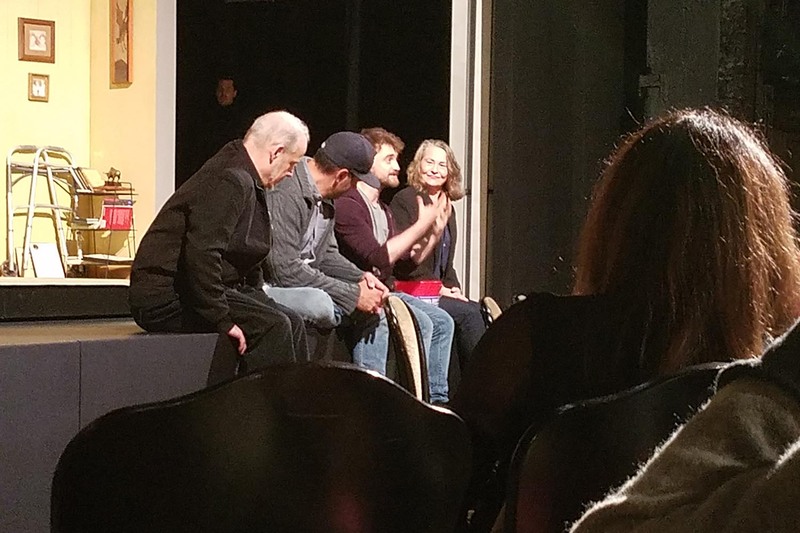 Richards and three cast members offered a talkback following the performance. 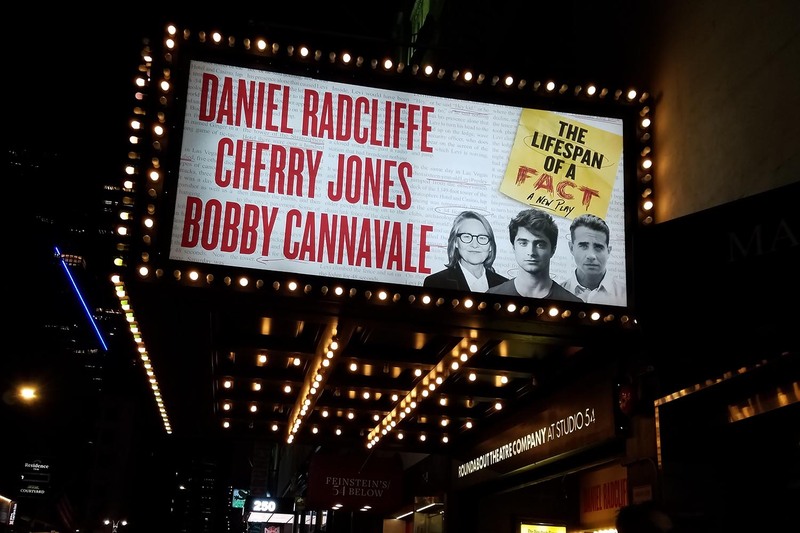 In Lifespan, actor Daniel Radcliffe is back on Broadway with Tony Award–winner Cherry Jones and Emmy Award–winner Bobby Cannavale as they take on the high-stakes world of publishing. Richards, at left, who received a Distinguished Alumnus Award from Wesleyan at his 40th Reunion, also is producing the critically acclaimed American Son, which is currently on Broadway starring Kerry Washington and Steven Pasquale. Also pictured is Cannavale, Radcliffe, and Jones.